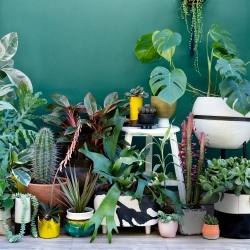 There is always this misconception that people either love potted plants or cut flowers. 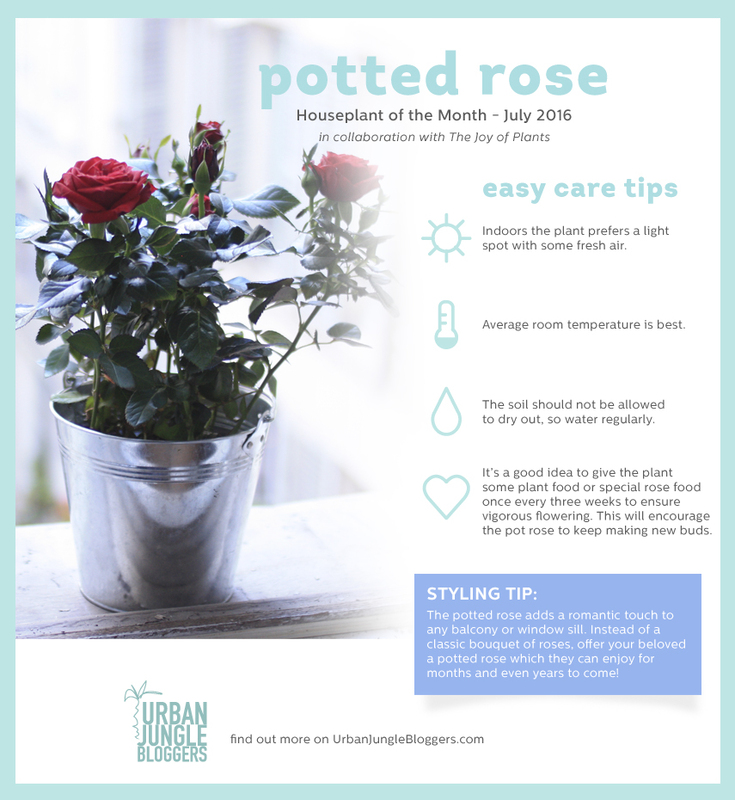 First of all, we do not think so and second, why not combine your love for potted plants and flowers for example with the “Houseplant of the Month” in July, the romantic potted rose. As beautiful as her wild outdoors sisters, the potted rose comes in a rich variety of colours and in manageable sizes for interiors, balconies, patios. 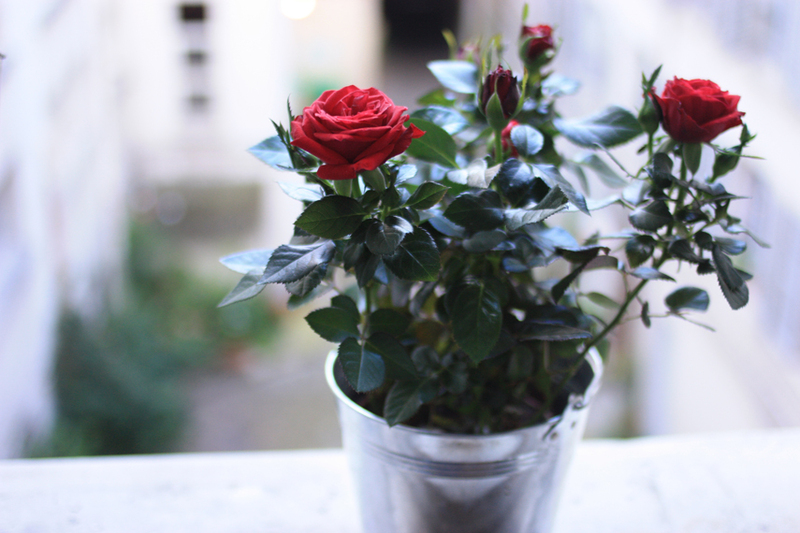 Do you need to be a romantic soul to appreciate a potted rose at home? Maybe a little bit. Roses evoke immediate feelings of love, courtesy, romance and fairy tales so yes, you need to be a romantic fellow deep down in your heart. But potted roses also add a wonderful botanical touch to any romantic or bohemian interior style: Whether you are more into powdery hues of pink, floral patterns and a shabby chic approach or you go for the bohemian style with a dash of mystery, mirrors, brass and crystals – a potted rose in an adequate colour will perfectly accomplish your interior styling. 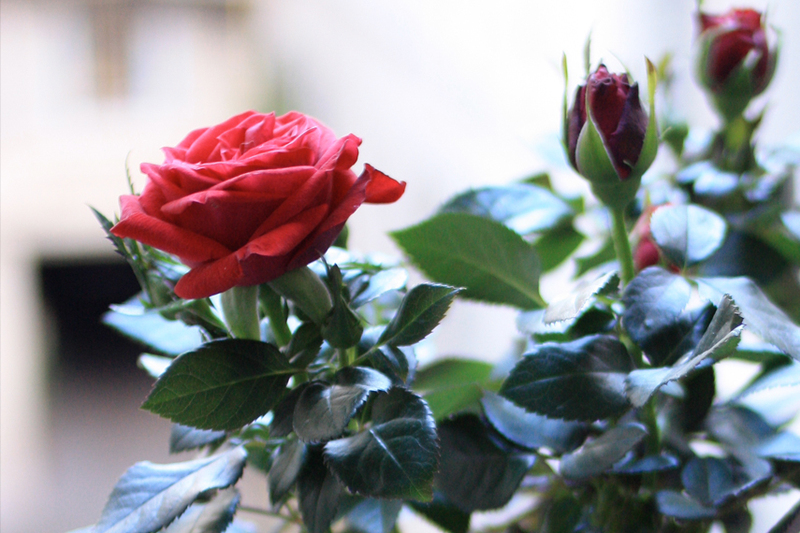 With good care a potted rose will bloom profusely for weeks. 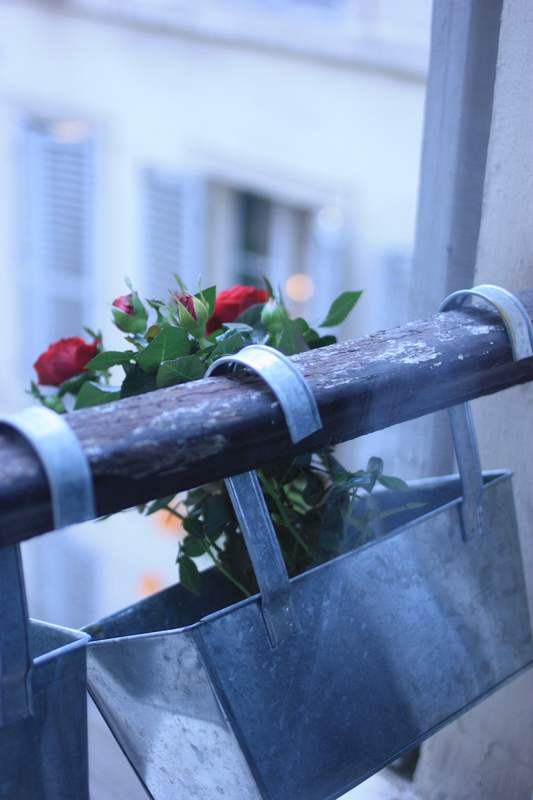 Potted roses prefer a bright spot with fresh air so consider anything close to your windows. Water them regularly as the soil should not dry out and add a liquid fertilizer every 3 weeks. While in bloom, the plant consumes more nutrients so increase the addition of fertilizer a little bit to ensure it produces new buds. Once it has finished blooming you can prune it back to about 5 cm above soil level and expect it to grow back after approximately two months. The cherished beauty of the rose has enchanted mankind throughout history. It was and often is considered the most beautiful flower in the world, it charms the beholder with its scent, it is a symbol for countries, cities, on flags, it finds its way into perfumes and food. 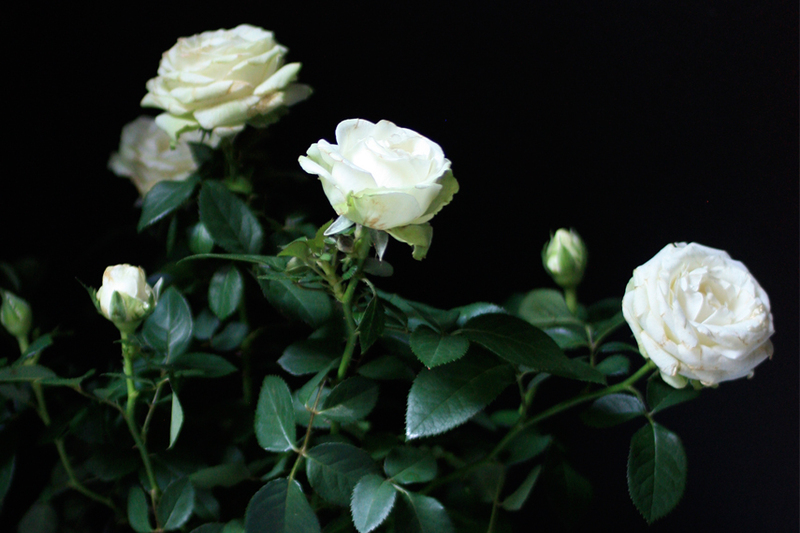 Hardly any other plant can keep track with the versatile beauty and the charms of a rose. 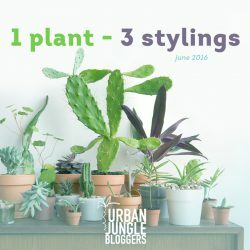 For this month’s Houseplant of the Month, we worked together with our favorite flower blogger Elodie Love from Madame Love. She’s a very talented flower blogger, flower stylist and flower photographer with a big passion for anything floral. 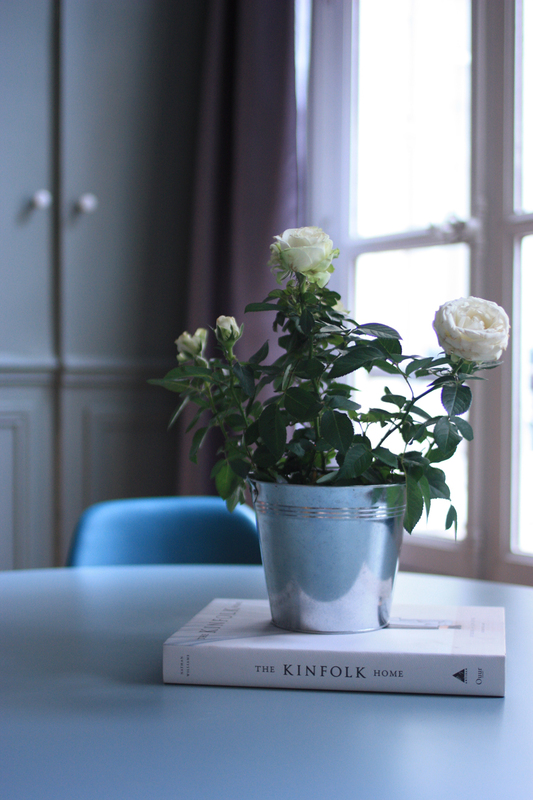 An obvious choice for the Potted Rose Houseplant of the Month! Also check out her Instagram for the most dreamy flower photos. 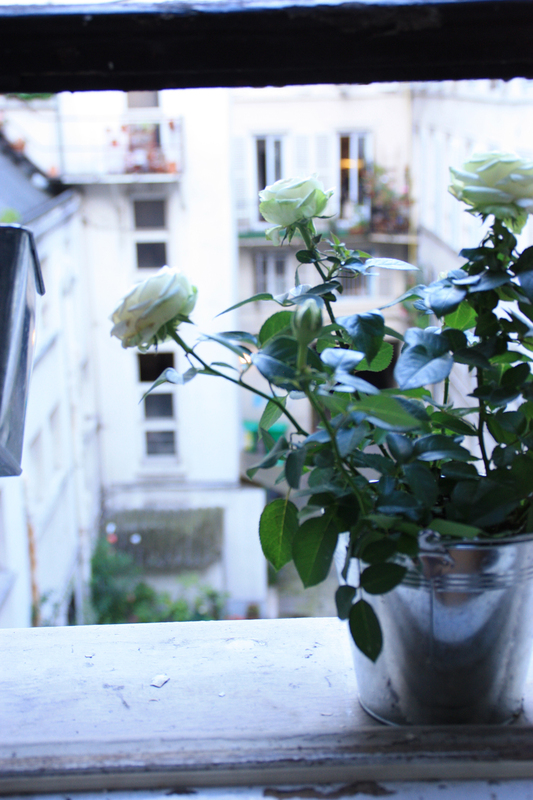 Merci Elodie for your beautiful potted rose photos!